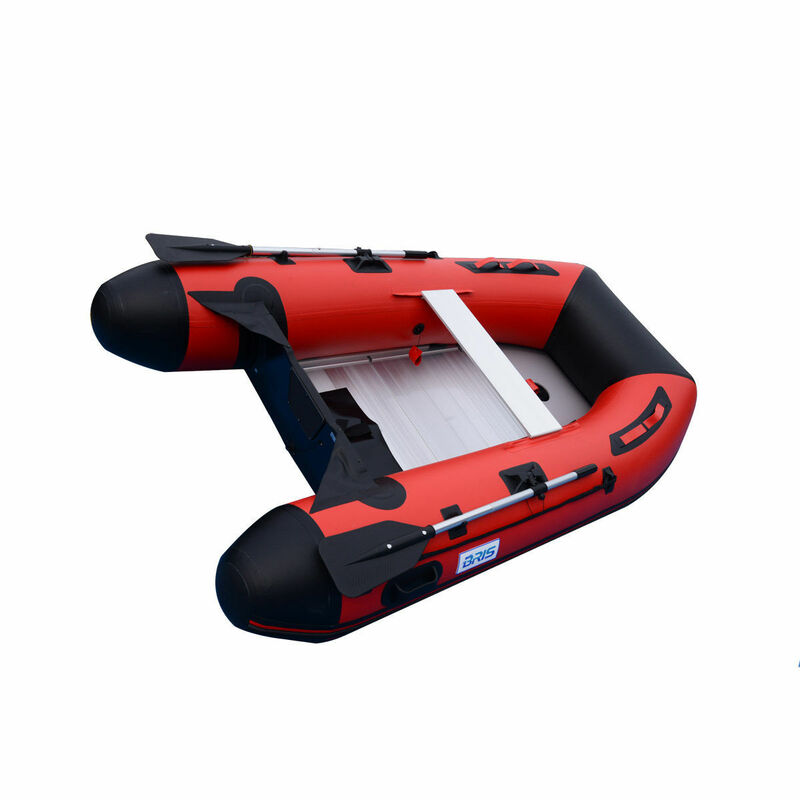 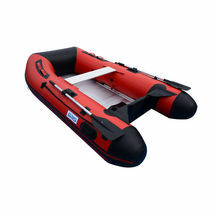 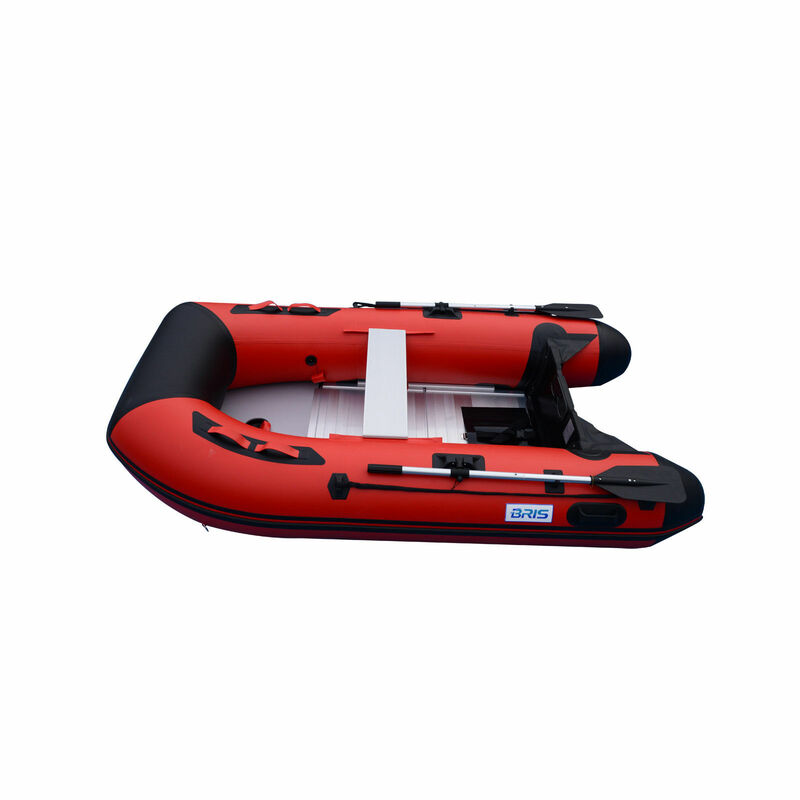 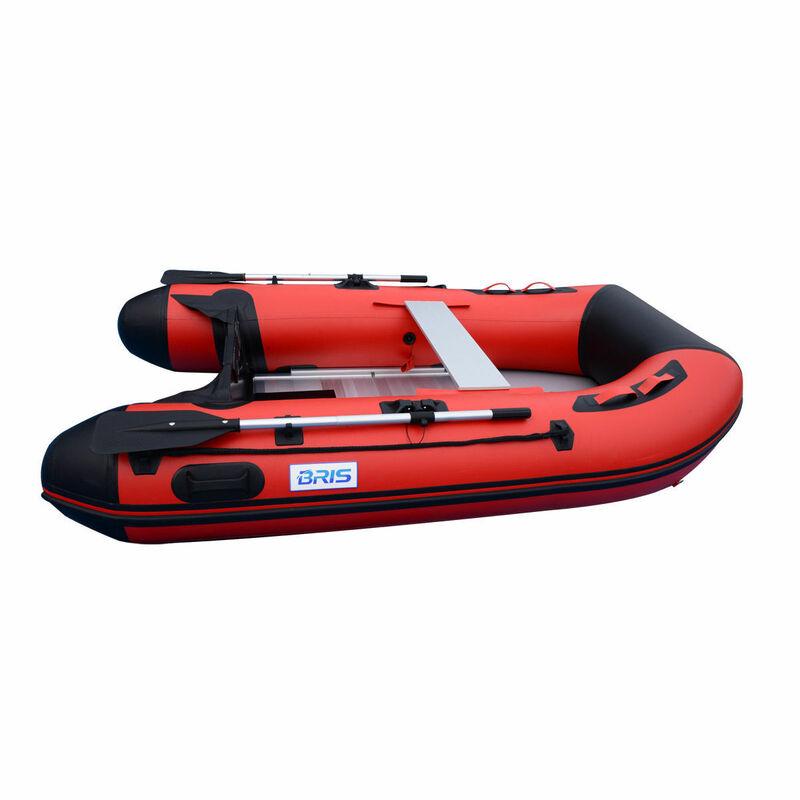 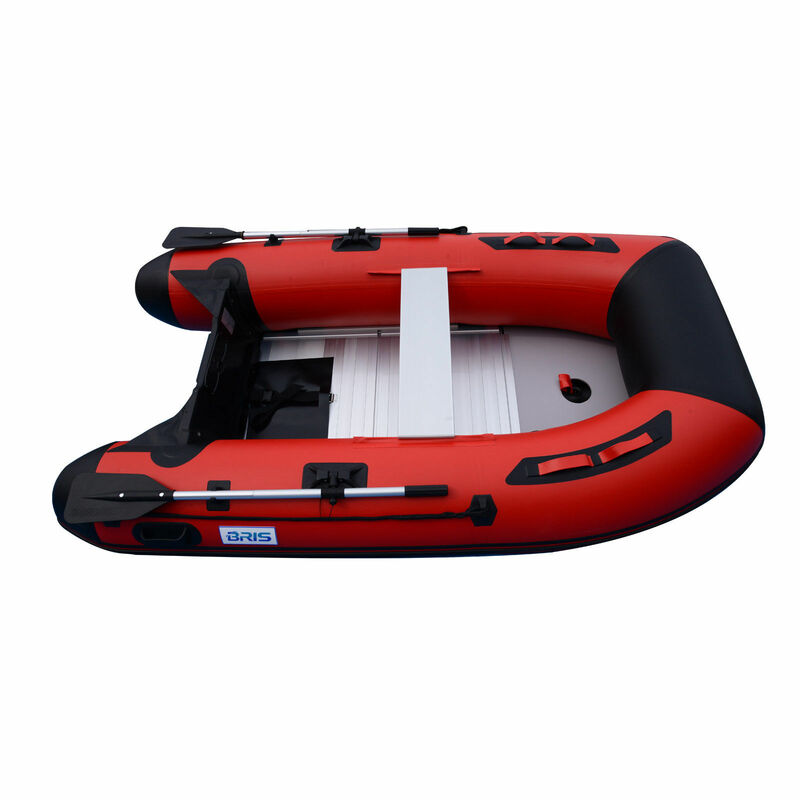 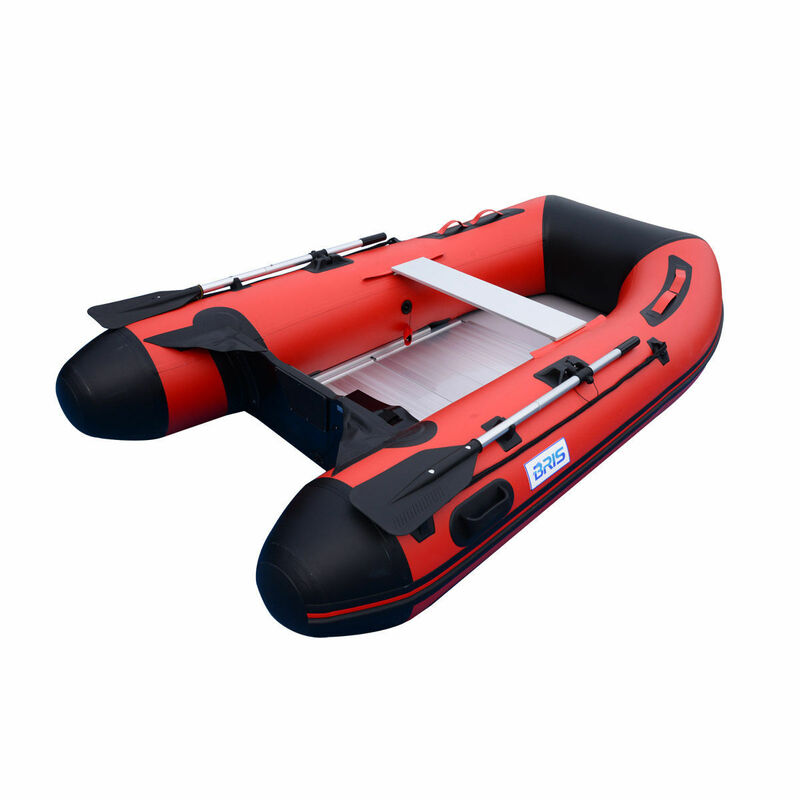 The BSR270 BRIS inflatable boat are made by 1100 Denier 0.9mm PVC fabric with aluminum floor board and marine plywood transom. 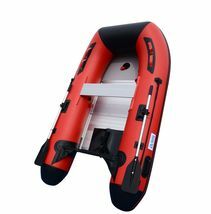 It is a much more heavy-duty PVC fabric than most of 1000 denier PVC boats.This boat has round end-tubes for better performance. 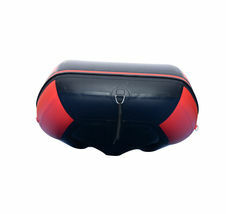 We also have added double layers of fabric at the bottom of the tubes. 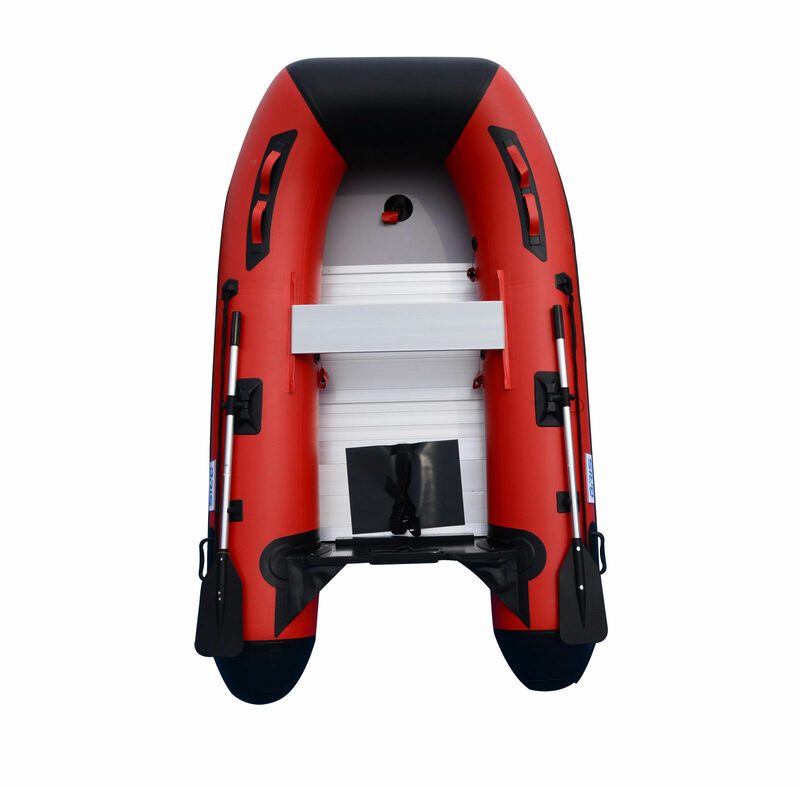 This allows 1.8mm of lower tube protection from sharp rocks and abrasive sands. This boat is lightweight and does not take up much space once deflated. it can take up to a 5HP short shaft outboard motor and can carry up to 3 people maximum . 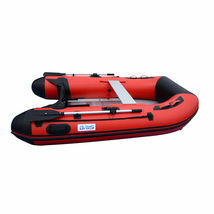 The BSR270 is great as a tender for yachts or sailboats. it can also be used as a lifesaving raft in case of an emergency. 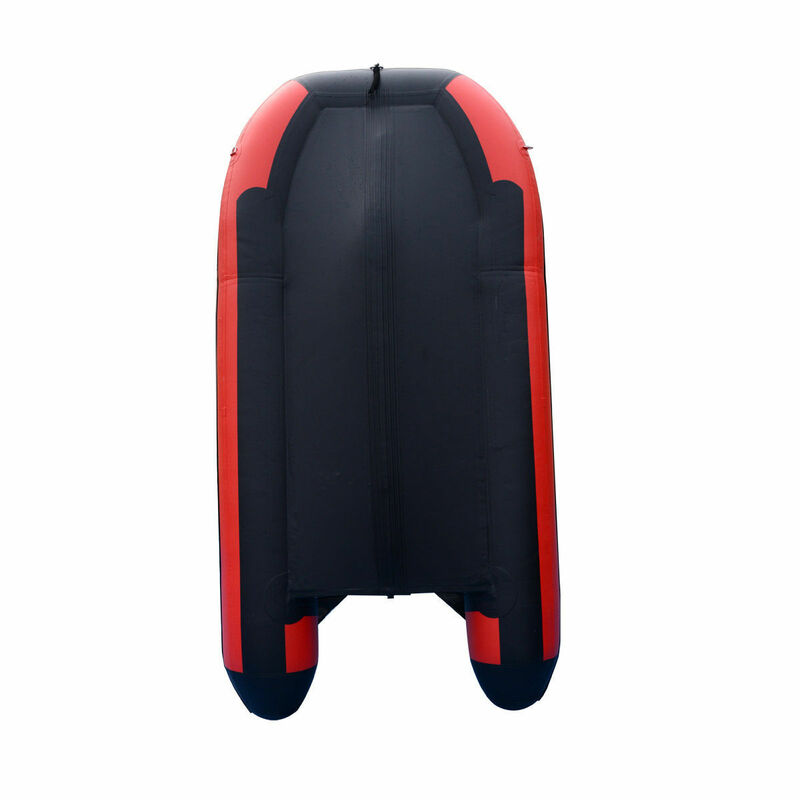 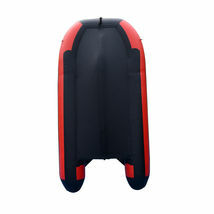 Inflatable V-keel with a rub strake protector. 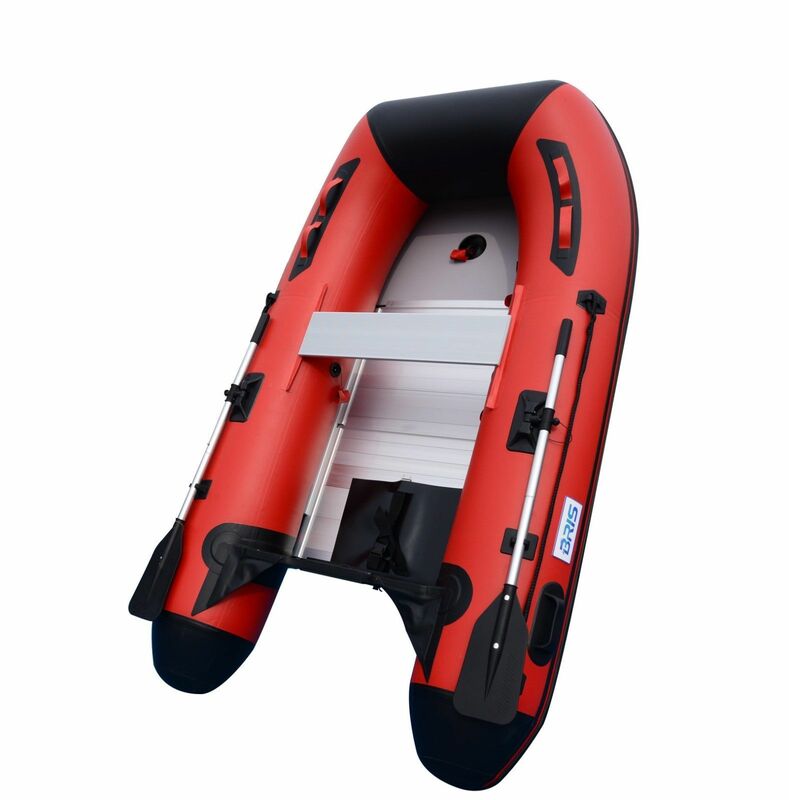 Heavy-duty marine grade plywood transom for motor. 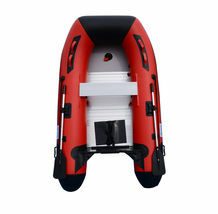 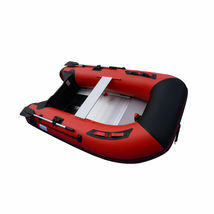 Package included: inflatable boat, aluminum floor, aluminum seat, oars, foot pump, carry bag and repair kit.
? Please note that we are not able to ship to PO Box, APO/FPO address. 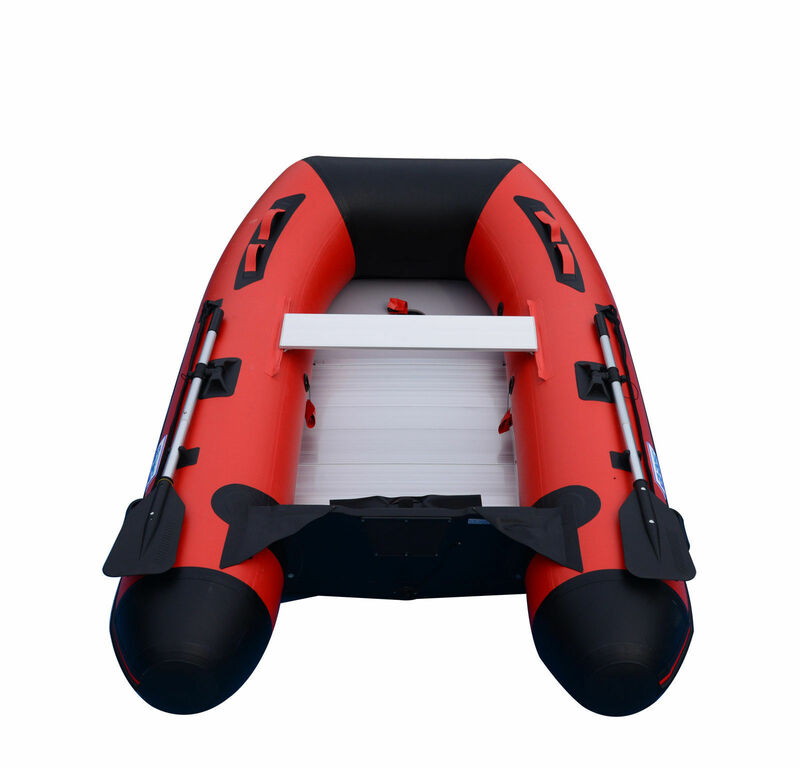 If for any reason you feel our transaction was not 100% positive for you, please contact us before leaving neutral or poor feedback, and allow us to make this transaction perfect for you. We appreciate your business, and want you to be 100% satisfied, period!